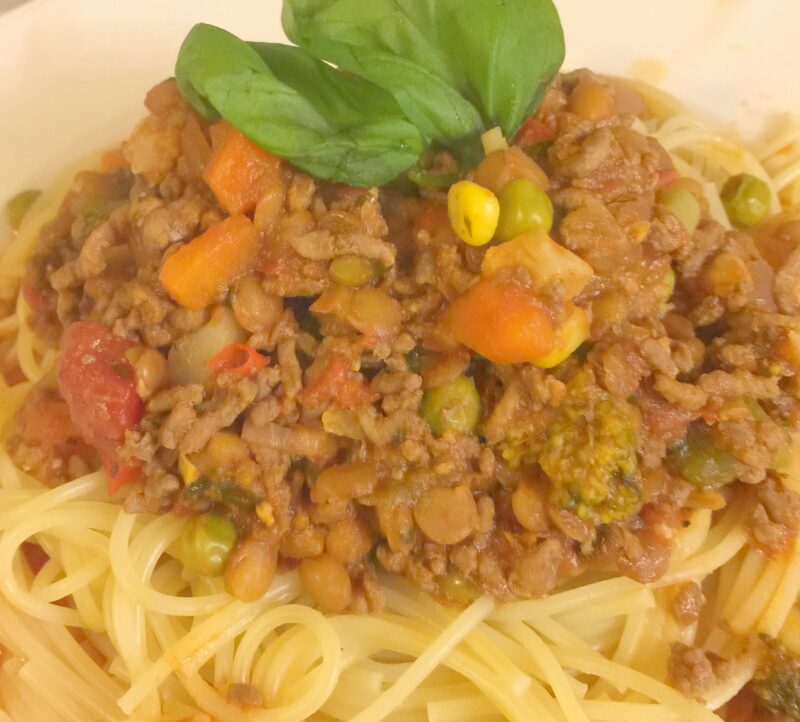 Spaghetti Bolognese has become such a staple food in the UK we’ve practically adopted it as our own, and it’s with that mentality that I’m sharing my own take on it as I fear the recipe below is pretty far from the Italian original! I’ve also added lots of extra vegetables as this is a great way to 1) be more healthy; 2) be more cost-effective and 3) encourage any fussy little ones to eat more veggies. Heat some olive oil or Fry Lite in a large pan. Add the onions and garlic, fry until softened. Add the mince, fry until browned. If using, add the red wine and cook down for a few minutes. Add chopped tomatoes or passata, tomato purée, half the basil, Worcester sauce & stock pot. Cover & simmer for 10 minutes. Add your veggies and simmer for another 10 minutes. Serve with spaghetti or pasta or your choice, sprinkle with the remaining basil and grated cheese. You can add as little or a many vegetables as you like. If your children are particularly fussy why not whiz some veg up in the food processor and add to the sauce or chop very finely? For more recipe ideas, check out the Recipe Roundup page. Previous Previous post: Isolation Junction by Jennifer Gilmore – Author Interview & Giveaway!